THE MAYBELLINE STORY : Maybelline targeted the average housewife in the 1950's. 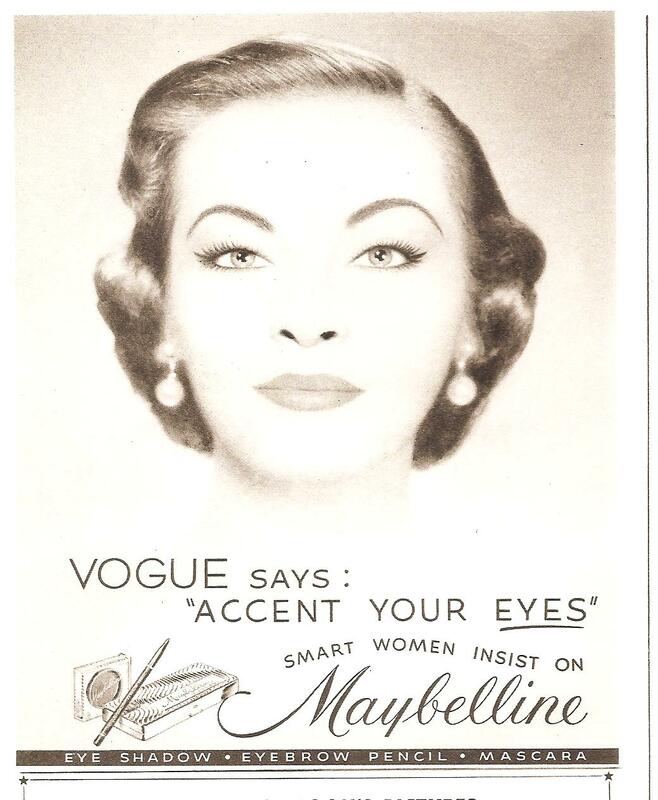 Maybelline targeted the average housewife in the 1950's. Maybelline in the 1950's may have represented fashion, glamour and style, but it's target market was the average middle class lady shopping with her kids in the local drugstore. be pretty and pretty meant having those Maybelline eyes. dinner. 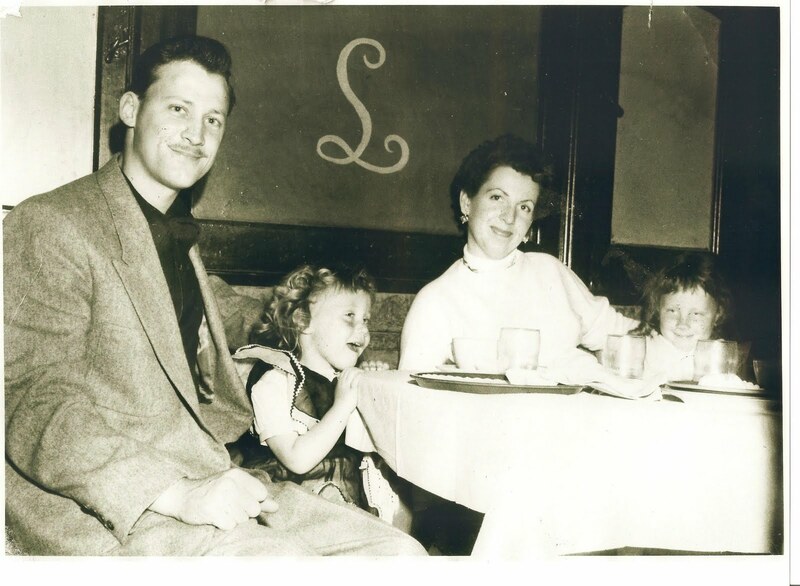 It just happens to be my dad, Donna, my mom with her new Italian hair cut and me in 1954. 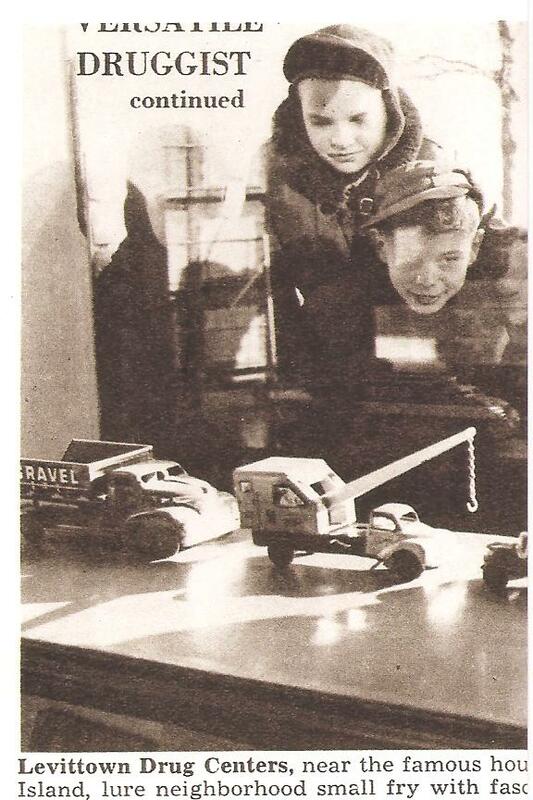 In the 1950's every housewife had their favorite drugstore, in fact it was so important, that the travel guide New Horizons by Pan American Airways, listed "American drugstores under world's capitals. Maybelline became a household name and an American institution, because of housewives spending so much at the drugstore to look Vogue.